Happy Sunday everyone! 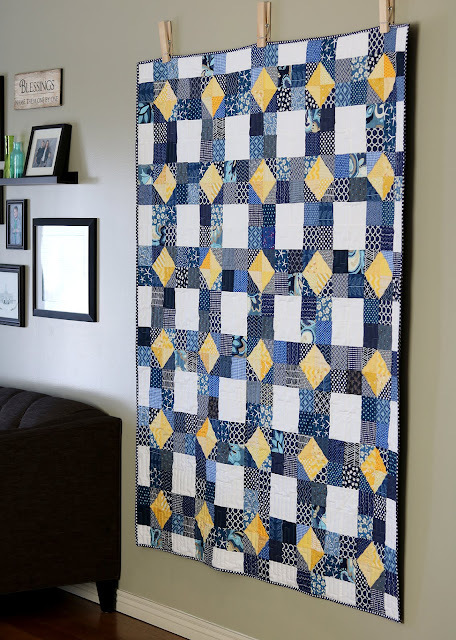 On the 2nd Sunday of each month I share a new take on an old favorite quilt -- one that you may have missed the first time around! This time I'm sharing a quilt I recently finished using one of my quilt block tutorials - the Scrappy Susannah. 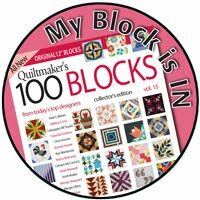 The tutorial makes a 12.5" quilt block and is so great for scraps - all of the required pieces measure either 3.5" or 4.25"
These make great bee blocks or swap blocks for groups and guilds. 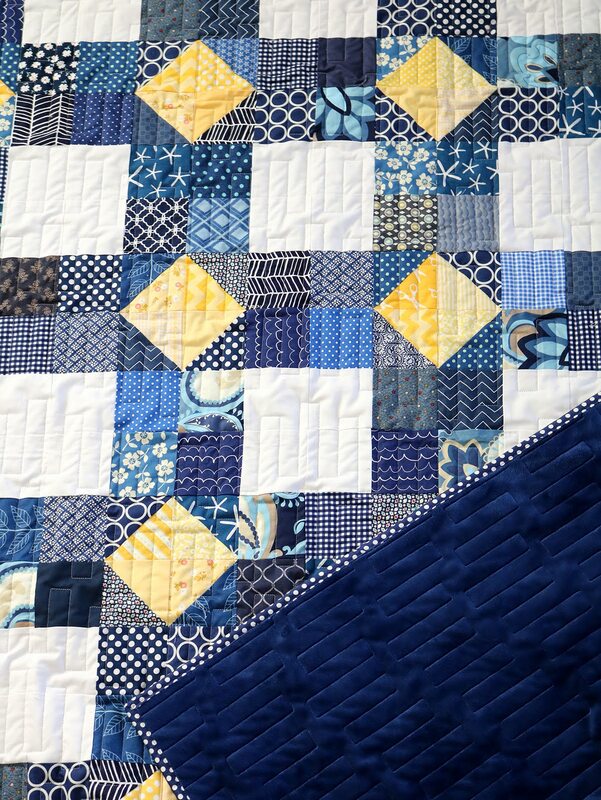 The block isn't complicated to piece, and the finished quilts are so fun & scrappy - the scrappier the better! This quilt top was started years ago and it's been sitting all forlorn in my WIP bin for far too long. Many of these fabrics did come from my scrap bin, but I was lacking in navy scraps so I had to cut into some fat quarters as well. 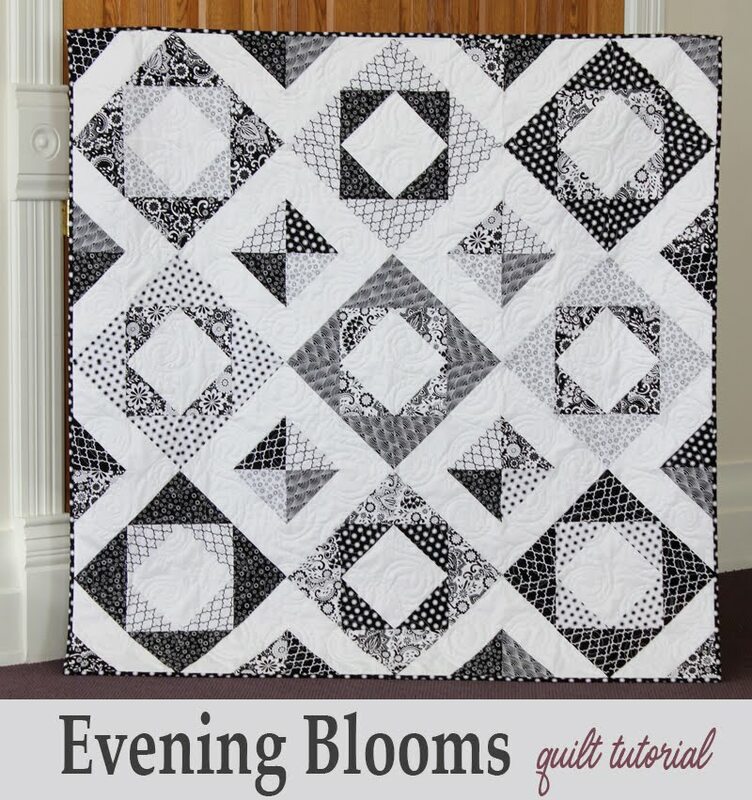 But because of how the block is pieced, it still has a scrappy look to it. The quilt measures 60" x 72" and uses 30 blocks. 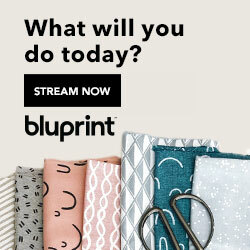 I backed it in some gorgeous navy colored Minky fabric. 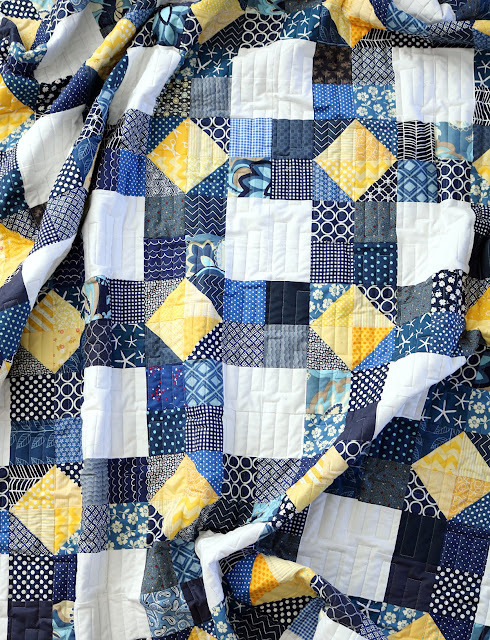 I love seeing the texture of the quilting on the back! 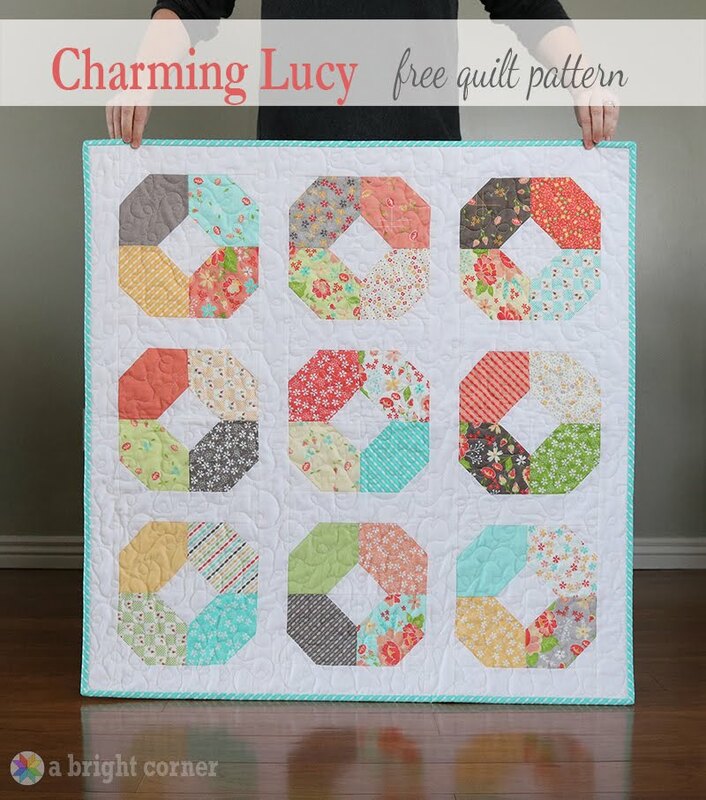 The quilting design is called Dominoes from Karlee Porter Designs. You can find the tutorial for the Scrappy Susannah blocks here! 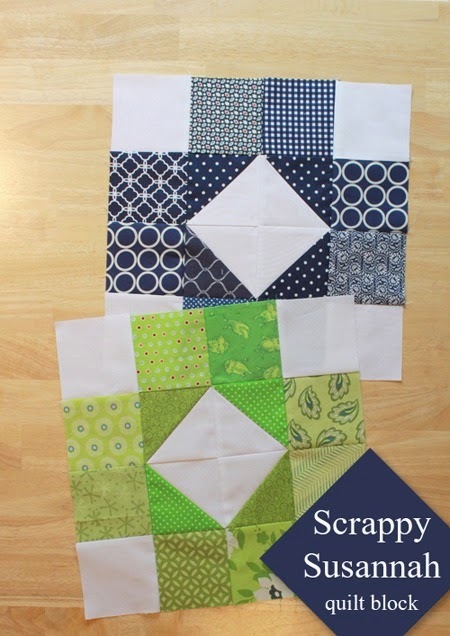 And if you make a Scrappy Susannah block or quilt I'd love to see it! 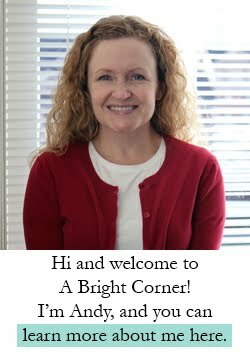 Tag me on Instagram (@abrightcorner) or Facebook and use the hashtag #scrappysusannahblock so we can all see what you create! 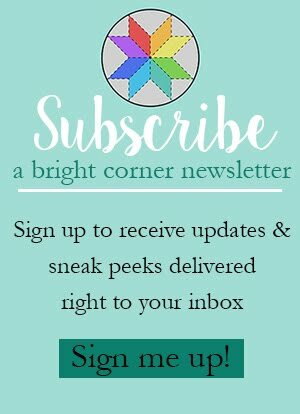 Did you miss the other Second Look Sunday projects? This is such an ingenious idea for a recurring blog post. I’m enjoying it very much. Scrappy Susannah came out beautifully! I love the straight line quilting on such a traditional looking quilt. Thank you for the inspiration! I really love your Scrappy Susannah. 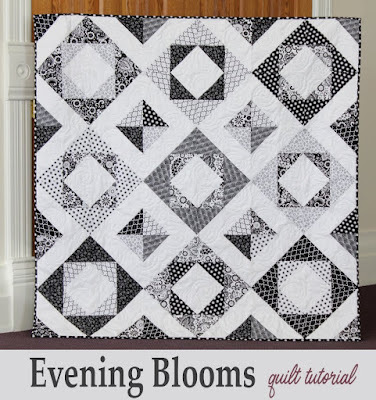 Thank you for all of your tutorials and free block patterns! 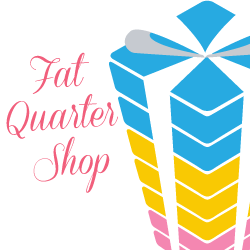 I'm trying to use up my stash and finish UFOs, so maybe someday I can buy some new fabric without guilt! 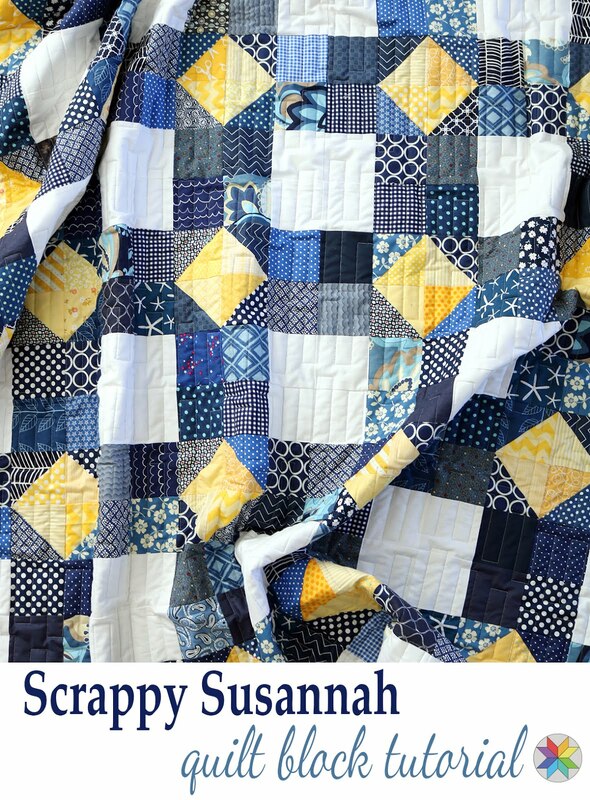 Love your Scrappy Susannah quilt. 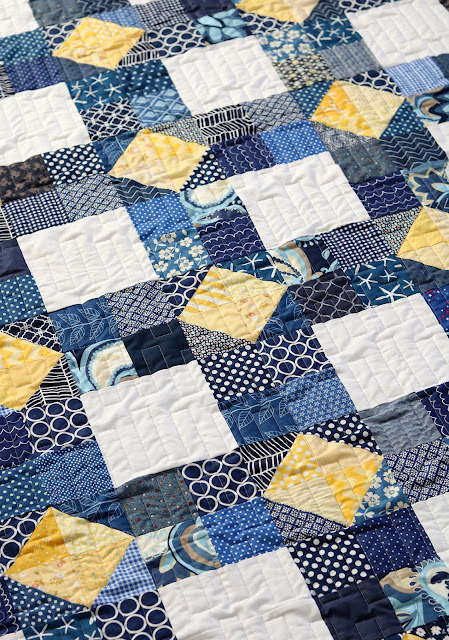 The yellow is such a fun addition to the blue and white. Thank you for sharing your tutorial with us. 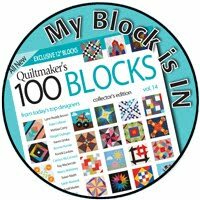 I'll have to put that block pattern on my to do list. I love the navy/ yellow combination. Thanks for sharing the tutorial. 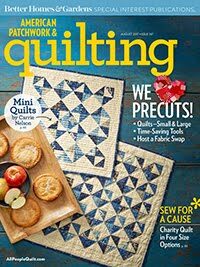 I could make this quilt!